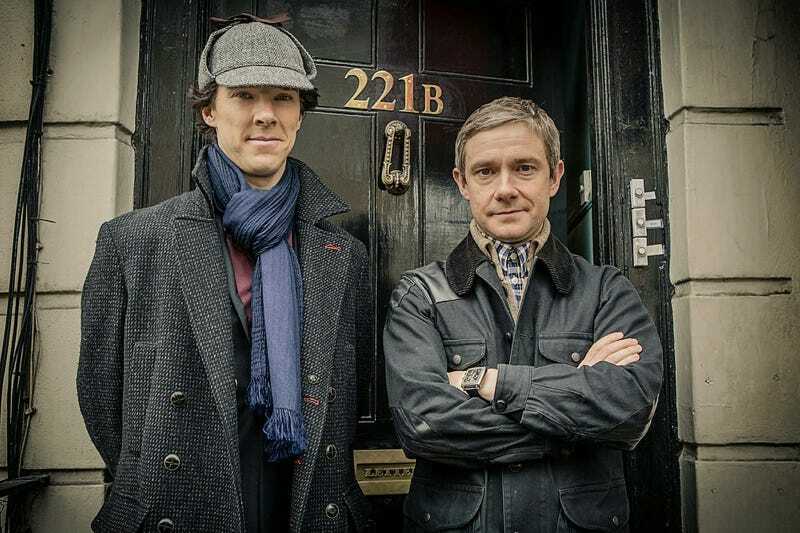 Last year, a federal judge ruled that Sherlock Holmes and Dr. Watson are no longer covered by U.S. copyright law. But, the Conan Doyle Estate continued its litigation — and today, another federal judge issued a blistering statement, saying that the estate might also be violating anti-trust laws. "The Case of the Greedy Estate" is a story in three parts. First, in 2013, editor Leslie Klinger filed a complaint against the Conan Doyle Estate regarding an anthology of new Sherlock Holmes stories. The estate had threatened to block sales of the anthology unless it received a licensing fee for the use of elements of Sir Arthur Conan Doyle's original stories. Ruben Castillo, Chief Judge for the United States District Court for the Northern District of Illinois held that, even though not all Sherlock Holmes stories are in the public domain, elements from the stories that appeared before January 1st, 1923 are in the public domain. Then, in Part II of our saga, 7th Circuit Judge Richard Posner rejected an appeal made by the estate, concluding in June 2014 that, "The spectre of perpetual, or at least nearly perpetual, copyright … looms, once one realizes that the Doyle estate is seeking 135 years (1887–2022) of copyright protection for the character of Sherlock Holmes as depicted in the first Sherlock Holmes story." The Doyle estate's business strategy is plain: charge a modest license fee for which there is no legal basis, in the hope that the "rational" writer or publisher asked for the fee will pay it rather than incur a greater cost, in legal expenses, in challenging the legality of the demand. The strategy had worked…only Klinger (so far as we know) resisted. In effect he was a private attorney general, combating a disreputable business practice—a form of extortion—and he is seeking by the present motion not to obtain a reward but merely to avoid a loss. He has performed a public service—and with substantial risk to himself, for had he lost he would have been out of pocket for the $69,803.37 in fees and costs incurred at the trial and appellate levels. We note finally that the estate was playing with fire in asking Amazon and other booksellers to cooperate with it in enforcing its nonexistent copyright claims against Klinger. For it was enlisting those sellers in a boycott of a competitor of the estate, and boycotts of competitors violate the anti-trust laws. The usual boycott is of a purchaser by his suppliers, induced by a competitor of the purchaser in order to eliminate competition from that purchaser…..This case is different, in its facts but not in economic substance or legal relevance, because the boycotters enlisted by the Doyle estate were buyers from the victim, rather than sellers to it. But functionally they were suppliers—suppliers of essential distribution services to Klinger. "It's time the estate, in its own self-interest, changed its business model," concluded Posner.